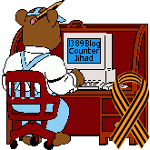 Southern Identity vs American Identity — 1389 Blog - Counterjihad! Comparing and contrasting a holistic Southern identity that includes all aspects of our humanity and American identity which is based on a vague set of propositions. The former being sufficient to nourish and sustain a people. The latter leading inevitably to war, fanaticism, tyranny and ultimately collapse. Next post: What’s the difference between halal food and kosher food?